Activists challenged a government ruling that labelled LGBT content as promoting ‘abnormal sexual behaviour’. A Beijing High Court on 3 April rejected an appeal against a ruling from last year that the country’s ban on LGBT content is lawful. 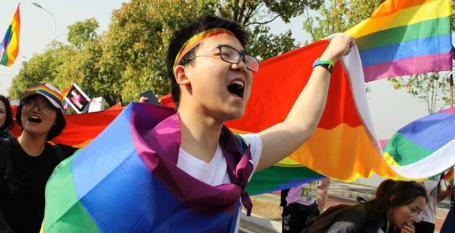 Fan Chunlin challenged China Netcasting Service Association (CNSA)’s June ‘17 decision to label homosexuality ‘abnormal sexual behavior’ and ban it from China’s internet. He filed a case with the Beijing No. 1 Intermediate People’s Court in January ‘18 but lost his case last October - and last week, the 30-year-old from Shanghai then lost his final appeal. In a statement, Fan said the verdict was no longer important and that ‘what is important is that more and more people have learned about sexual minorities through this lawsuit’, and ‘from this point of view, our original intention has already been reached’. characteristic Lesbian is she want to be the same/more in degree/level with men. Don"t you see closed lesbian that marry man?